Today we look at moving to Santo Domingo in Dominican Republic from Kinshasa in Congo Democratic Rep. We highlight cost of living and other major differences likely to be experienced in our series of short blogs on moving between different international locations. In Santo Domingo people speak Spanish. In Kinshasa people speak French and Lingala, Kiswahili, Kikongo as well as Tshiluba. Santo Domingo, is the capital and largest city in the Dominican Republic. Kinshasa is the capital and largest city of the Democratic Republic of the Congo. Santo Domingo is the center of economic activity in the Dominican Republic. Many national and international firms have their headquarters or regional offices in the city. The city attracts many international firms and franchises due to its geographic location, stability and vibrant economy. Kinshasa ties with Johannesburg for the status of the second largest city in sub-Saharan Africa and the third largest in the whole continent after Lagos and Cairo. Because the administrative boundaries cover such a vast area, over 60% of the city's land is rural in nature, and the urban area only occupies a small section in the far western end of the province. The overall cost of living rank in Santo Domingo is 237 out of 300 global locations, which equates it with low cost of living locations. An expatriate moving from Kinshasa to Santo Domingo will experience a change in cost of living of -21.7%. In terms of the hardship people are likely to experience, assessed in global terms, Santo Domingo is ranked as an extreme hardship location with a hardship index of 40% the same as Kinshasa. Today we look at moving to Copenhagen in Denmark from Bogota in Colombia. We highlight cost of living and other major differences likely to be experienced in our series of short blogs on moving between different international locations. In Copenhagen people speak Danish. In Bogota people speak Spanish. Copenhagen is the capital and largest city of Denmark. Bogota is the capital city of Colombia. Copenhagen is the economical and financial centre of Denmark and also a strong business and economic centre in the Scandinavian-Baltic region. Bogota is Colombia's largest economic center and most companies in Colombia have their headquarters in the city. Bogota is also a major center for the import and export of goods for Colombia and the Andean Community in Latin America. The overall cost of living rank in Copenhagen is 14 out of 300 global locations, which equates it with high cost of living locations. An expatriate moving from Bogota to Copenhagen will experience a change in cost of living of 34.2%. In terms of the hardship people are likely to experience, assessed in global terms, Copenhagen is ranked as a minimal hardship location with a hardship index of 10% compared to Bogota with a hardship index of 30% which is a high degree of hardship location. Today we look at moving to Nicosia in Cyprus from Tianjin in China. We highlight cost of living and other major differences likely to be experienced in our series of short blogs on moving between different international locations. In Nicosia people speak Greek and Turkish. In Tianjin people speak Mandarin Chinese. Nicosia, known locally as Lefkosia is the capital and largest city of Cyprus. Tianjin is the sixth largest city of the People's Republic of China in terms of urban population. Administratively it is one of the four municipalities that have provincial-level status, reporting directly to the central government. Also, its urban land area is the fifth largest in China, ranked only after Beijing, Shanghai, Guangzhou and Shenzhen. Nicosia is important commercially with many shops, two modern shopping malls, restaurants and entertainment. The city is a trade centre and manufactures textiles, leather, pottery, plastic, and other products. Copper mines are nearby. Nicosia is the seat of the University of Cyprus (UCY) and four other universities. Manufacturing is the largest (60.1%) and fastest-growing (18.2%) sector of Tianjin's economy. Farmland takes up about 40% of Tianjin Municipality's total area. Wheat, rice, and maize are the most important crops. Fishing is important along the coast. Tianjin is also an important industrial base. Major industries include petrochemical industries, textiles, car manufacturing, mechanical industries, and metalworking. The overall cost of living rank in Nicosia is 160 out of 300 global locations, which equates it with middle cost of living locations. An expatriate moving from Tianjin to Nicosia will experience a change in cost of living of 27.5%. In terms of the hardship people are likely to experience, assessed in global terms, Nicosia is ranked as a minimal hardship location with a hardship index of 10% compared to Tianjin with a hardship index of 30% which is a high degree of hardship location. Today we look at moving to San Jose in Costa Rica from Hong Kong in China. We highlight cost of living and other major differences likely to be experienced in our series of short blogs on moving between different international locations. In San Jose people speak Spanish (official) and English. In Hong Kong people speak Chinese (mainly Cantonese) and English (both official). San Jose is the capital and largest city of Costa Rica. Hong Kong is a special administrative region of the People's Republic of China. San Jose is the seat of national government, the focal point of political and economic activity, and the major transportation hub of Costa Rica. Hong Kong's highly favorable geographical position and trading opportunities are wealth-generating assets. The overall cost of living rank in San Jose is 212 out of 300 global locations, which equates it with low cost of living locations. An expatriate moving from Hong Kong to San Jose will experience a change in cost of living of -46.2%. In terms of the hardship people are likely to experience, assessed in global terms, San Jose is ranked as a high degree of hardship location with a hardship index of 30% compared to Hong Kong with a hardship index of 20% which is a some hardship location. Today we look at moving to Wuhan in China from Bangui in Central African Republic. We highlight cost of living and other major differences likely to be experienced in our series of short blogs on moving between different international locations. In Wuhan people speak Mandarin Chinese. In Bangui people speak French and Sangho (lingua franca). Wuhan is the capital of Hubei province, People's Republic of China, and is the most populous city in central China. Bangui is the capital of and the largest city in the Central African Republic. Wuhan is an important center for economy, trade, finance, transportation, information technology, and education in Central China. Its major industries includes optic-electronic, automobile manufacturing, steel manufacturing, new pharmaceutical sector, biology engineering, new materials industry and environmental protection. Wuhan has over one third of French investment in China, the most among Chinese cities. Bangui serves as an administrative, trade, and commercial center. The overall cost of living rank in Wuhan is 222 out of 300 global locations, which equates it with low cost of living locations. An expatriate moving from Bangui to Wuhan will experience a change in cost of living of -27.9%. In terms of the hardship people are likely to experience, assessed in global terms, Wuhan is ranked as a high degree of hardship location with a hardship index of 30% compared to Bangui with a hardship index of 40% which is an extreme hardship location. Today we look at moving to Shenzhen in China from Praia in Cape Verde. We highlight cost of living and other major differences likely to be experienced in our series of short blogs on moving between different international locations. In Shenzhen people speak Mandarin Chinese. In Praia people speak Portuguese and Crioulo (a mixture of archaic Portuguese and African words). Shenzhen is a city of sub-provincial administrative status in southern China's Guangdong province, situated immediately north of Hong Kong. Praia is the capital and largest city of Cape Verde. Shenzhen is a major manufacturing centre in China and is home to some of China's most successful high-tech companies. Shenzhen's economic output is ranked fourth among Chinese cities after Beijing, Shanghai and Guangzhou. Praia is Cape Verde’s largest city, a commercial center, and a port that ships coffee, sugar cane, and tropical fruits. Praia also has a fishing industry and there are resort beaches nearby. The overall cost of living rank in Shenzhen is 224 out of 300 global locations, which equates it with low cost of living locations. An expatriate moving from Praia to Shenzhen will experience a change in cost of living of -14.8%. In terms of the hardship people are likely to experience, assessed in global terms, Shenzhen is ranked as a high degree of hardship location with a hardship index of 30% the same as Praia. Today we look at moving to Guangzhou in China from Montreal in Canada. We highlight cost of living and other major differences likely to be experienced in our series of short blogs on moving between different international locations. In Guangzhou people speak Mandarin and Chinese. In Montreal people speak English and French (both official). Guangzhou is a sub-provincial city and the capital of Guangdong Province in the southern part of the People's Republic of China. Montreal is the second-largest city in Canada and the largest city in the province of Quebec. Guangzhou is the main manufacturing hub of the Pearl River Delta, one of mainland China's leading commercial and manufacturing regions. Guangzhou's economic output is ranked third among Chinese cities after Beijing and Shanghai. Montreal's economy is the second largest of all cities in Canada and the largest in Quebec. The city is today an important centre of commerce, finance, industry, technology, culture, and world affairs. The overall cost of living rank in Guangzhou is 264 out of 300 global locations, which equates it with low cost of living locations. An expatriate moving from Montreal to Guangzhou will experience a change in cost of living of -31.5%. In terms of the hardship people are likely to experience, assessed in global terms, Guangzhou is ranked as a high degree of hardship location with a hardship index of 30% compared to Montreal with a hardship index of 10% which is a minimal hardship location. Today we look at moving to Beijing in China from Yaounde in Cameroon. We highlight cost of living and other major differences likely to be experienced in our series of short blogs on moving between different international locations. In Beijing people speak Mandarin and Chinese. In Yaounde people speak French, English, and the languages of Bantu, Semi-Bantu and Sudanic groups. Beijing is a metropolis in northern China and the capital of the People's Republic of China. Yaounde is the capital city of Cameroon and second largest city in the country after Douala. Beijing is amongst the most developed cities in China with tertiary industry accounting for 73.2% of its GDP. Finance is one of the most important industries of Beijing. Beijing is home to 26 Fortune Global 500 companies, the third most in the world behind Tokyo and Paris. Major industries in Yaounde include tobacco, dairy products, breweries, clay, glass goods, and lumber. It is also a regional distribution center for coffee, cocoa, copra, sugar cane, and rubber. The overall cost of living rank in Beijing is 121 out of 300 global locations, which equates it with middle cost of living locations. An expatriate moving from Yaounde to Beijing will experience a change in cost of living of -7.4%. In terms of the hardship people are likely to experience, assessed in global terms, Beijing is ranked as a high degree of hardship location with a hardship index of 30% the same as Yaounde. Today we look at moving to N'Djamena in Chad from Phnom Penh in Cambodia. We highlight cost of living and other major differences likely to be experienced in our series of short blogs on moving between different international locations. In Phnom Penh people speak Khmer. In N'Djamena people speak French and Arabic. Phnom Penh is the capital and largest city of Cambodia. N'Djamena is the capital city of Chad. It is also the largest city in the country. Double-digit economic growth rates in recent years have triggered an economic boom, with new hotels, restaurants, bars, and residential buildings springing up around the city. Phnom Penh's wealth of historical and cultural sites makes it a very popular tourist destination. N'Djamena is a regional market for livestock, salt, dates, and grains. Meat, fish and cotton processing are the chief industries, and the city continues to serve as the centre of economic activity in Chad, despite the violent civil conflicts. The overall cost of living rank in Phnom Penh is 297 out of 300 global locations, which equates it with low cost of living locations. An expatriate moving from Phnom Penh to N'Djamena which has an overall cost of living rank of 85, which equates it with high cost of living locations, will experience a change in cost of living of 73.5%. In terms of the hardship people are likely to experience, assessed in global terms, N'Djamena is ranked as an extreme hardship location with a hardship index of 40% compared to Phnom Penh with a hardship index of 40% which is also an extreme hardship location. Today we look at moving to Bangui in Central African Republic from Bujumbura in Burundi. We highlight cost of living and other major differences likely to be experienced in our series of short blogs on moving between different international locations. In Bujumbura people speak Kirundi (official), French (official) and Swahili. In Bangui people speak French and Sangho (lingua franca). Bujumbura is the capital city and main port of Burundi. Bangui is the capital of and the largest city in the Central African Republic. Bujumbura's port ships most of the country's chief export, coffee, as well as cotton, skins, and tin ore. Bangui serves as an administrative, trade, and commercial center. The overall cost of living rank in Bujumbura is 269 out of 300 global locations, which equates it with low cost of living locations. An expatriate moving from Bujumbura to Bangui which has an overall cost of living rank of 54, which equates it with high cost of living locations, will experience a change in cost of living of 52.1%. In terms of the hardship people are likely to experience, assessed in global terms, Bangui is ranked as an extreme hardship location with a hardship index of 40% compared to Bujumbura with a hardship index of 40% which is an extreme hardship location. Today we look at moving to Praia in Cape Verde from Sofia in Bulgaria. We highlight cost of living and other major differences likely to be experienced in our series of short blogs on moving between different international locations. In Sofia people speak Bulgarian. In Praia people speak Portuguese and Crioulo, a mixture of archaic Portuguese and African words. Sofia is the capital and largest city of Bulgaria. Praia is the capital and largest city of Cape Verde. Sofia is the major economic center of Bulgaria and home to most major Bulgarian and international companies operating in Bulgaria. Sofia is also the country's financial hub. Praia is Cape Verde’s largest city, a commercial center, and a port that ships coffee, sugar cane, and tropical fruits. Praia also has a fishing industry and there are resort beaches nearby. The overall cost of living rank in Sofia is 244 out of 300 global locations, which equates it with low cost of living locations. An expatriate moving from Sofia to Praia which has an overall cost of living rank of 134, which equates it with middle cost of living locations, will experience a change in cost of living of 21.6%. In terms of the hardship people are likely to experience, assessed in global terms, Praia is ranked as a high degree of hardship location with a hardship index of 30% compared to Sofia with a hardship index of 30% which is a high degree of hardship location. Today we look at moving to Montreal in Canada from Brasilia in Brazil. We highlight cost of living and other major differences likely to be experienced in our series of short blogs on moving between different international locations. In Brasilia people speak Portuguese. In Montreal people speak English and French (both official). Brasília is the capital of Brazil. Montreal is the second-largest city in Canada and the largest city in the province of Quebec. The major roles of construction and of services (government, communications, banking and finance, food production, entertainment, and legal services) in Brasília's economy reflect the city's status as a governmental rather than an industrial centre. Montreal's economy is the second largest of all cities in Canada and the largest in Quebec. The city is today an important centre of commerce, finance, industry, technology, culture, and world affairs. The overall cost of living rank in Brasilia is 7 out of 300 global locations, which equates it with high cost of living locations. 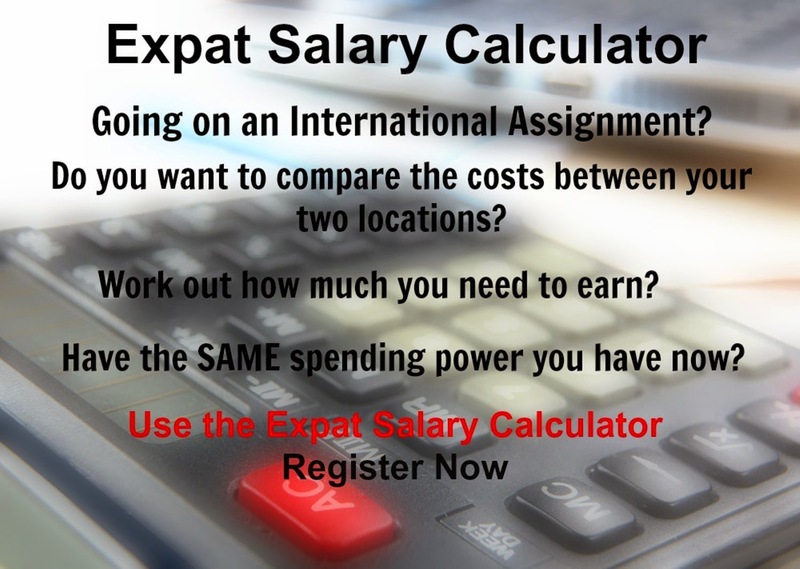 An expatriate moving from Brasilia to Montreal which has an overall cost of living rank of 74, which equates it with high cost of living locations, will experience a change in cost of living of -26%. In terms of the hardship people are likely to experience, assessed in global terms, Montreal is ranked as a minimal hardship location with a hardship index of 10% compared to Brasilia with a hardship index of 20% which is a some hardship location. Today we look at moving to Ouagadougou in Burkina Faso from Cotonou in Benin. In Cotonou people speak French (official) Fon, Ge, Bariba, Yoruba and Dendi. In Ouagadougou people speak French, indigenous languages. Cotonou is the economic capital of Benin, as well as its largest city. Ouagadougou is the capital of Burkina Faso and the administrative, communications, cultural and economic center of the nation. It is also the country's largest city. Ouagadougou's primary industries are food processing and textiles. The overall cost of living rank in Cotonou is 169 out of 300 global locations, which equates it with middle cost of living locations. An expatriate moving from Cotonou to Ouagadougou which has an overall cost of living rank of 136, which equates it with middle cost of living locations, will experience a change in cost of living of 4.9%. In terms of the hardship people are likely to experience, assessed in global terms, Ouagadougou is ranked as an extreme hardship location with a hardship index of 40% compared to Cotonou with a hardship index of 40% which is an extreme hardship location. Today we look at moving to Bandar Seri Begawan in Brunei from Brussels in Belgium. In Brussels people speak Dutch (local variant called Flemish), French and German. In Bandar Seri Begawan people speak Malay, English and Chinese. Brussels is the de facto capital city of the European Union (EU) and the largest urban area in Belgium. Bandar Seri Begawan is the capital and largest city of the Sultanate of Brunei. Serving as the centre of administration for Europe, Brussels' economy is largely service-oriented. It is dominated by regional and world headquarters of multinationals, by European institutions, by various administrations, and by related services, though it does have a number of notable craft industries, such as the Cantillon Brewery, a lambic brewery founded in 1900. Bandar Seri Begawan produces furniture, textiles, handicrafts, and timber. The overall cost of living rank in Brussels is 45 out of 300 global locations, which equates it with high cost of living locations. An expatriate moving from Brussels to Bandar Seri Begawan which has an overall cost of living rank of 152, which equates it with middle cost of living locations, will experience a change in cost of living of -19.4%. In terms of the hardship people are likely to experience, assessed in global terms, Bandar Seri Begawan is ranked as a high degree of hardship location with a hardship index of 30% compared to Brussels with a hardship index of 10% which is a minimal hardship location. Today we look at moving to Sarajevo in Bosnia and Herzegovina from Nassau in Bahamas. In Nassau people speak English. In Sarajevo people speak Bosnian, Croatian and Serbian. The overall cost of living rank in Nassau is 63 out of 300 global locations, which equates it with high cost of living locations. An expatriate moving from Nassau to Sarajevo which has an overall cost of living rank of 266, which equates it with low cost of living locations, will experience a change in cost of living of -33.2%. In terms of the hardship people are likely to experience, assessed in global terms, Sarajevo is ranked as an extreme hardship location with a hardship index of 40% compared to Nassau with a hardship index of 20% which is a some hardship location. Today we look at moving to La Paz in Bolivia from Baku in Azerbaijan. In Baku people speak Azeri and Russian. In La Paz people speak Spanish, Quechua, Aymara and Guarani. Baku is the capital, the largest city, and the largest port of Azerbaijan and all the Caucasus. The basis of Baku's economy is petroleum. The existence of petroleum has been known since the 8th century. The World War II Battle of Stalingrad was fought to determine who would have control of the Baku oil fields. Fifty years before the battle, Baku produced half of the world's oil supply. Currently the oil economy of Baku is undergoing a resurgence. The economy of La Paz has improved greatly in recent years. Due to the long period of high inflation and economic struggle faced by Bolivians in the 1980s and early 1990s, a large Informal Economy developed. The overall cost of living rank in Baku is 82 out of 300 global locations, which equates it with high cost of living locations. An expatriate moving from Baku to La Paz which has an overall cost of living rank of 294, which equates it with low cost of living locations, will experience a change in cost of living of -38.6%. In terms of the hardship people are likely to experience, assessed in global terms, La Paz is ranked as an extreme hardship location with a hardship index of 40% compared to Baku with a hardship index of 40% which is an extreme hardship location. Today we look at moving to Brussels in Belgium from Canberra in Australia. In Canberra people speak English. In Brussels people speak Dutch (local variant called Flemish), French and German. Canberra is the capital city of Australia and is Australia's largest inland city and the eighth largest Australian city overall. Brussels is the de facto capital city of the European Union (EU) and the largest urban area in Belgium. Canberra's main industry is government administration and defence employing over 40% of Canberra's workforce. The unemployment rate in Canberra is well below the national unemployment rate, with labour shortages reported in some sectors. As a result of low unemployment and substantial levels of public sector and commercial employment, Canberra has the highest average disposable income of any Australian capital city. The overall cost of living rank in Canberra is 15 out of 300 global locations, which equates it with high cost of living locations. An expatriate moving from Canberra to Brussels which has an overall cost of living rank of 45, which equates it with high cost of living locations, will experience a change in cost of living of -13.7%. In terms of the hardship people are likely to experience, assessed in global terms, Brussels is ranked as a minimal hardship location with a hardship index of 10% compared to Canberra with a hardship index of 10% which is a minimal hardship location. Today we look at moving to Minsk in Belarus from Brisbane in Australia. In Brisbane people speak English. In Minsk people speak Russian and Belarussian (both official). Brisbane is the state capital of the Australian state of Queensland and is the largest city in that state. Brisbane is the third most populous city in Australia. Minsk is the capital and largest city in Belarus. Brisbane's economy is diverse. White-collar industries include information technology, financial services, higher education and public sector administration generally concentrated in and around the central business district and recently established office areas in the inner suburbs. Blue-collar industries, including petroleum refining, stevedoring, paper milling, metalworking and QR railway workshops, tend to be located on the lower reaches of the Brisbane River and in new industrial zones on the urban fringe. Tourism is an important part of the Brisbane economy, both in its own right and as a gateway to other areas of Queensland. The overall cost of living rank in Brisbane is 29 out of 300 global locations, which equates it with high cost of living locations. An expatriate moving from Brisbane to Minsk which has an overall cost of living rank of 185, which equates it with low cost of living locations, will experience a change in cost of living of -25.6%. In terms of the hardship people are likely to experience, assessed in global terms, Minsk is ranked as a high degree of hardship location with a hardship index of 30% compared to Brisbane with a hardship index of 10% which is a minimal hardship location.